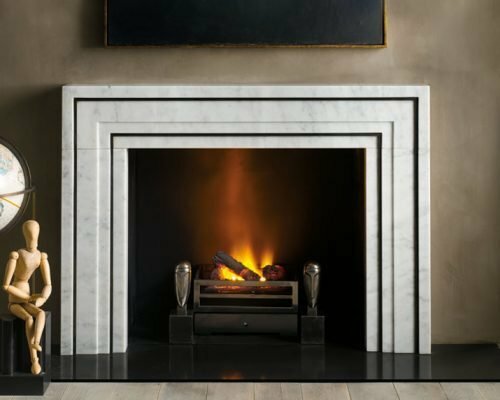 For his contemporary collection for Chesneys, leading New York designer eric Cohler was inspired by the industrial revolution of the 19th Century. 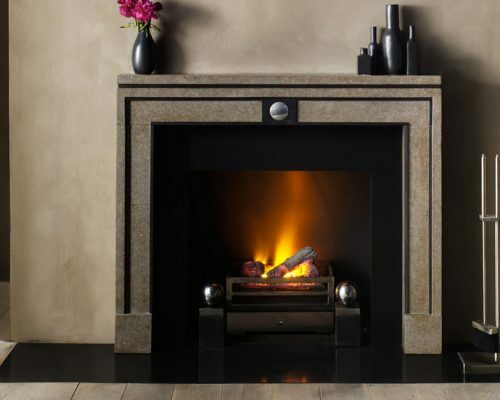 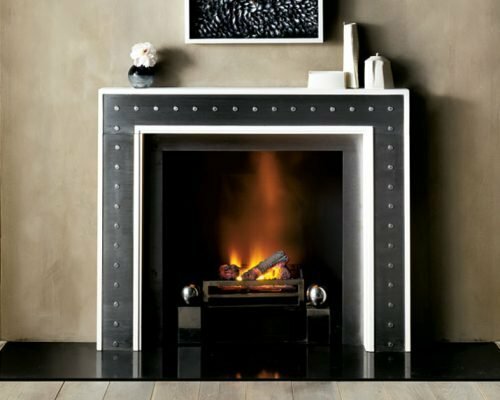 Combining Azul Valverde stone with brushed and blackened steel elements, the design of the Glasgow surround bears a strong similarity to the work of the visionary architect Sir John Soane. 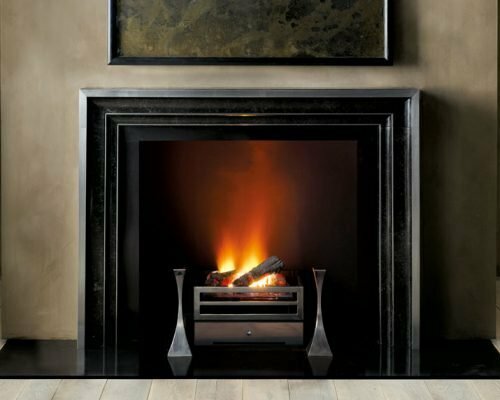 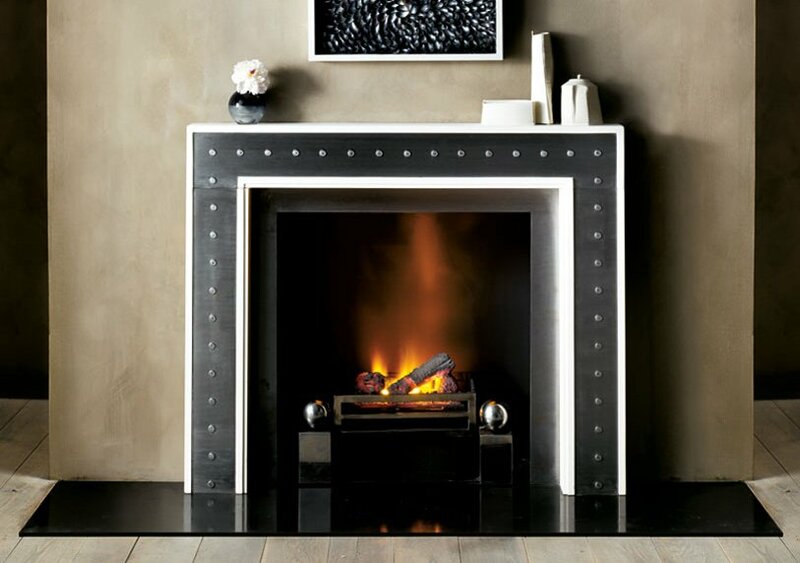 The Pittsburgh has a deliberately industrial look combining a simple limestone frame with riveted brushed steel panels. 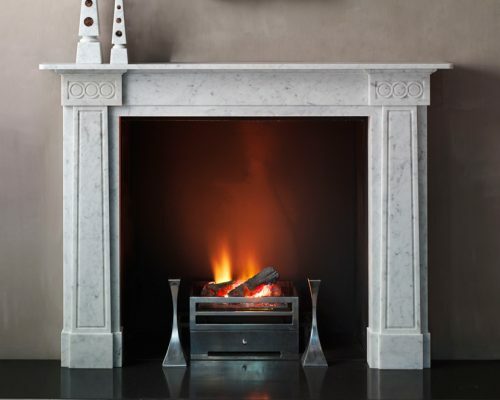 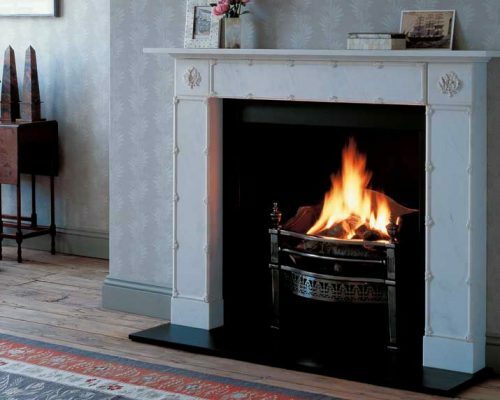 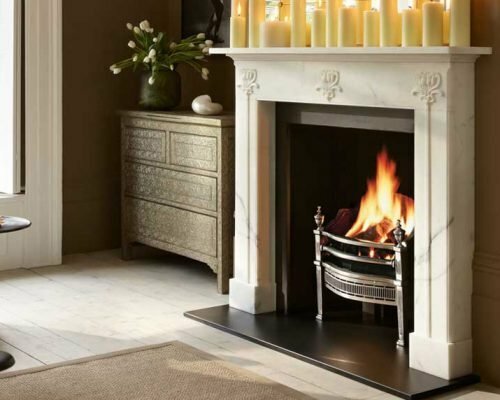 The Hulanicki Art Nouveau surround is carved in Statuary marble to allow the carver to work in the material best suited to capture in crisp detail the sinuous floral carving that characterises this delicate fireplace.